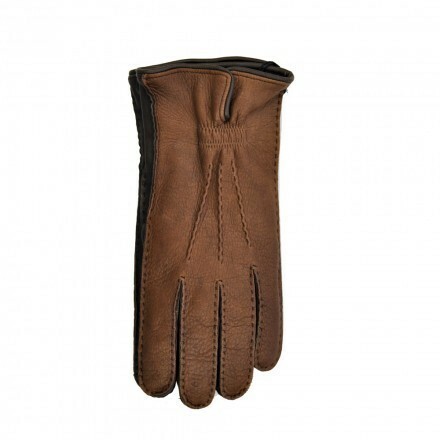 The choice of the deerskin is due to its smoothness and a big resistance: the latter one is an important quality for a pair of winter gloves, in case of necessity of not having to take them off while doing something outside in the cold. 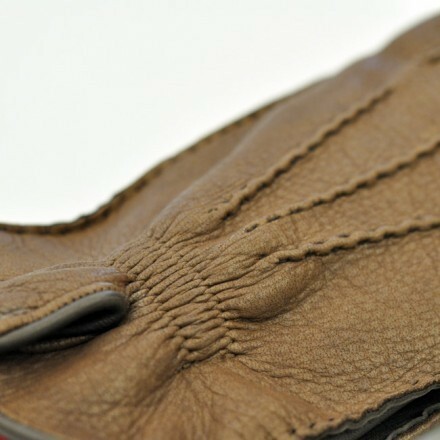 MANUFACTURE: 100% Made in Italy; Genuine Craftsmanship. OUTSIDE COMPOSITION: Brown deerskin in the upper section and dark-brown in the under section. 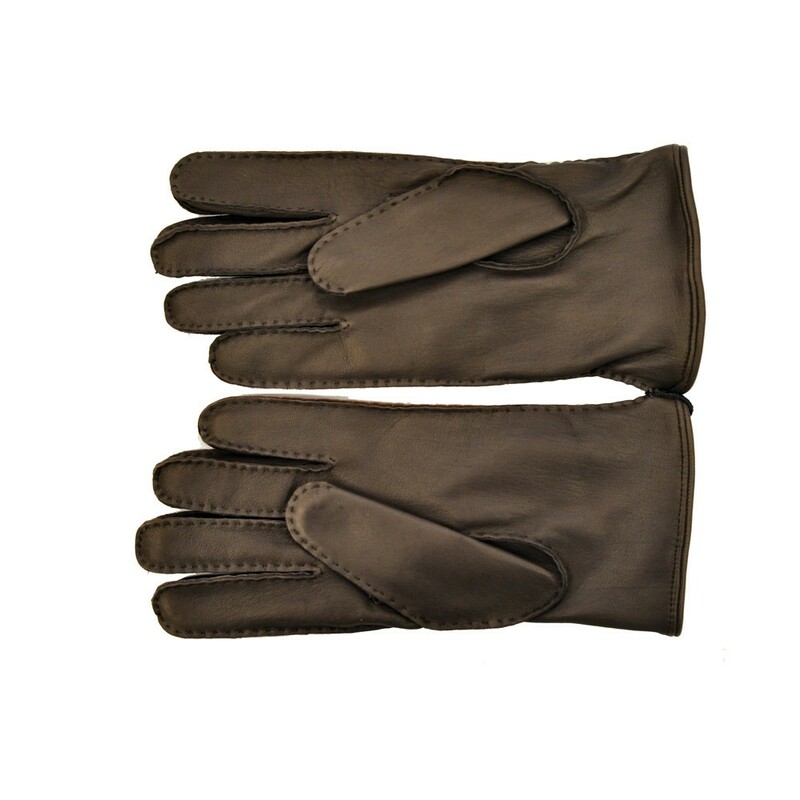 DESCRIPTION: Men’s gloves with brown deerskin in the upper section and dark-brown in the under section; grey Cashmere lining; 100% Made in Italy; genuine craftsmanship. 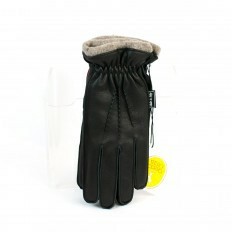 Men’s gloves in brown deerskin with Cashmere lining. 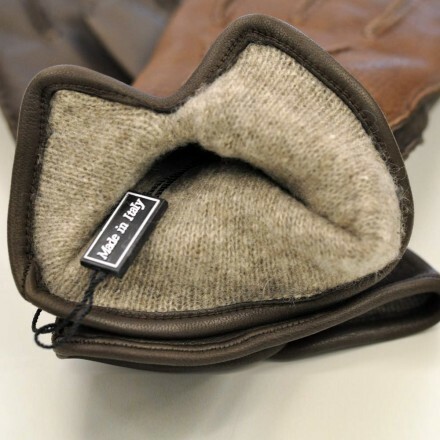 Cashmere, used for lining, is a highly practical material too: smooth, pleasing to the touch and, above all, warm. For it has strong resistance against cold, a thin layer of this material is sufficient to keep your hands protect, therefore gloves with Cashmere lining are comfortable to wear and would let you hold easily the handle of a bag or other everyday objects. Hand crafted by Italian artisans and available in limited quantities.